Baileys Hotel is a luxurious boutique hotel in a beautifully restored Georgian building on the Main Street of historic Cashel. Dating from 1709 the building has a unique charm & is part of Ireland's Ancient East. Combined with a warm welcome, you will feel at home from the minute you step inside the door. Our restaurants offer balanced menus combining Irish and European cuisine, with local ingredients featured. We have 20 superbly appointed rooms which have all been redecorated in a pleasing contemporary style but in keeping with the Georgian decor. Baileys Hotel Cashel is ideally located halfway between Dublin & Cork in the heart of the historical town of Cashel, nestled in Tipperarys Golden Vale. 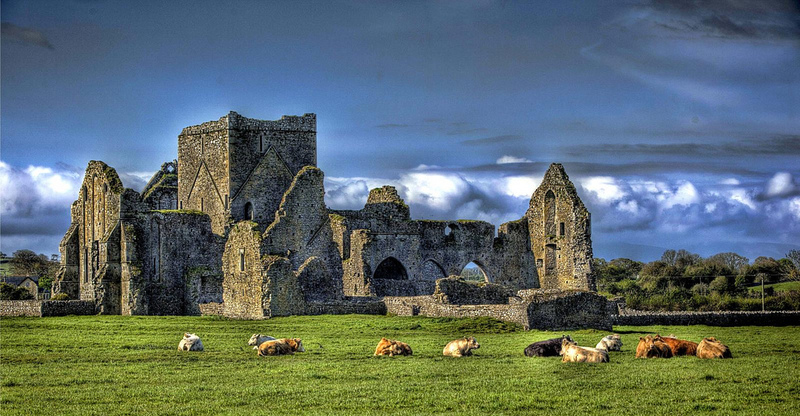 Within a short stroll of the Rock of Cashel, Hore Abbey, shops and pubs plus so much more. Your own private lounge and office wth magnificent views of the Rock, en-suite double Jacuzzi bath and invigorating double power shower is a luxurious hideaway.